Some people need to wear their eyeglasses every day, all the time, in order to see clearly. 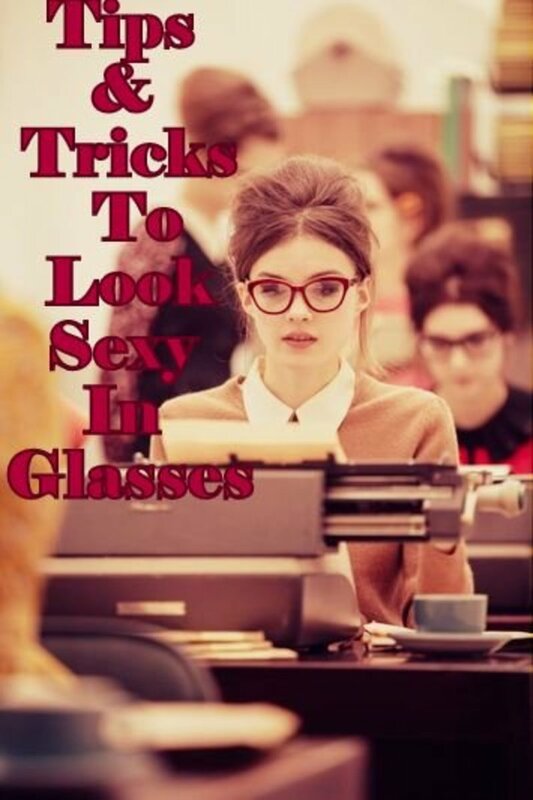 Since the glasses are worn all the time, they need to be stylish as well as functional. Eyeglasses are expensive. Very few people can afford to buy a separate pair of glasses for each occasion, so they buy one pair that they can wear to work, to church, on dates, and at parties. The same pair of glasses is worn for every occasion. 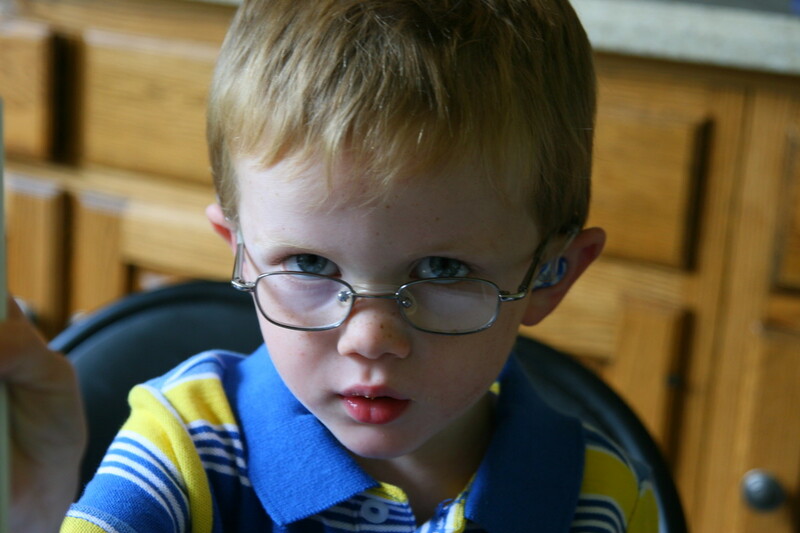 Since the glasses are on their face, they become an integral part of how people are viewed. Most people take a great deal of time to choose their eyeglasses and make sure they consider all the important factors in their choice. 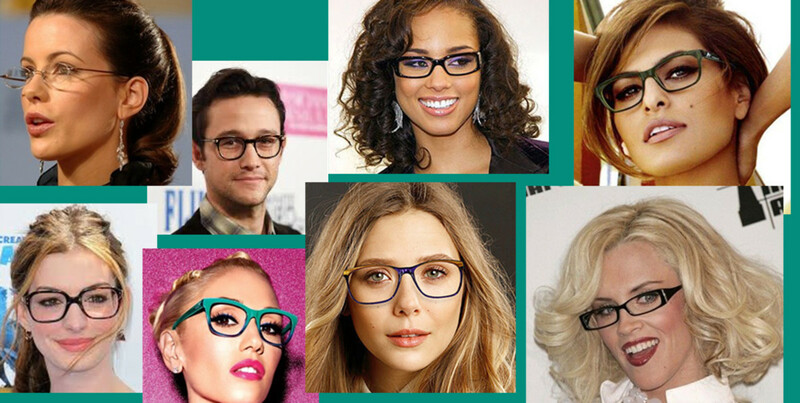 Most eyeglass wearers try on many frames in order to find one that is just right for them. 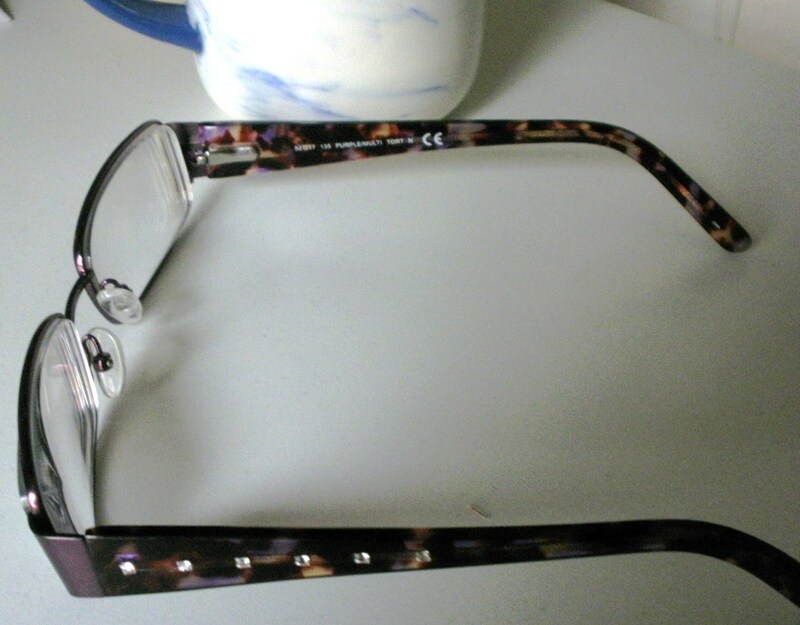 When they consider the style of frame for their glasses, they will try to find one that looks attractive on them. It must flatter the shape of their face. They pay special attention to the shape of the frame, and the color. They worry about the material of the frame, whether it is a wire rim or a plastic one, to make sure that it is lightweight. They may opt for one with spring hinges to make sure that it can take some wear and tear as they take off and put on their glasses or accidentally run into someone. But let's face it; the primary purpose of eyeglasses is that you can see clearly. Your vision is the most important part of purchasing eyeglasses. The frames pictured in this article can be dangerous. The wide temples block your peripheral vision and create a blind spot. I purchased these stylish eyeglasses and noticed a difference right away. From my desk in an open area, I did not notice that people were coming towards my desk to walk in the aisle behind me until they were much closer to me. This was startling, but probably not very dangerous unless a coworker becomes seriously disgruntled. When I am driving, I can see the temples from the corner of my eye, and it makes it feel like there is a car that is continuously driving alongside me. My friend who has similar glasses told me that she recently averted a car accident that was caused by her glasses blocking her view. There already is a blind spot when you are driving a car. There's no need to create another one by buying the wrong kind of eyeglass frames. If it is too late for you to return your glasses, please be sure to turn your head and make sure you are seeing everything you need to see. Relying on your peripheral vision will not work. The next time you are choosing eyeglass frames, be sure to consider whether they are causing a blind spot and whether you are willing to take the risk that they are blocking your vision. Eyeglasses are supposed to provide better vision, and in blocking your view, they do not seem to fulfill their intended purpose. 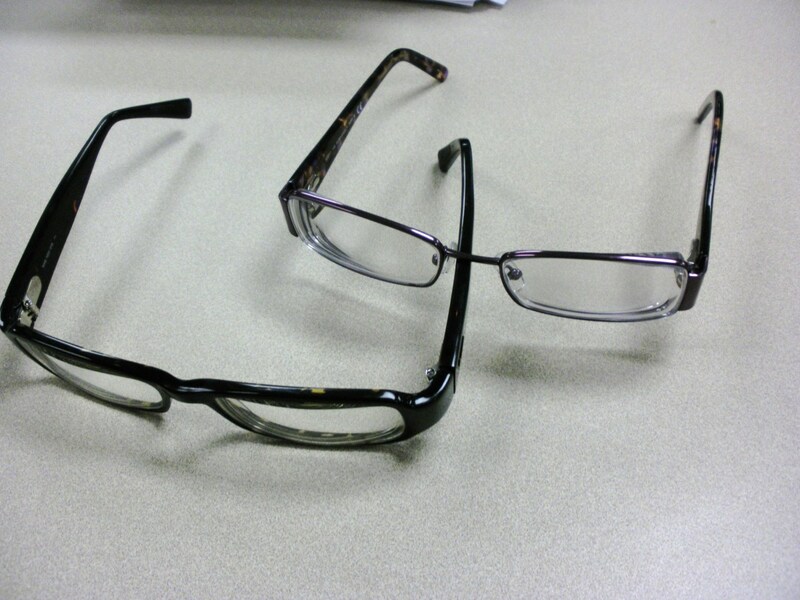 Comments: "Why Your Stylish Eyeglasses are Dangerous"
Thanks for your comment Lindy. Some of my friends are not bothered by the fact that their glasses give them a blind spot. I agree with you though, that the salesperson should let you know about this concern and let you make your own decision. I think maybe when the insurance companies start suing the eyeglass manufacturers for creating blind spots, then they may get recalled or get warning labels on them. Just spent hundreds of dollars on designer glasses. When I picked them up I noticed they were heavy looking and when driving home I experienced blinds spots. Made me very nervous. My concern is, why didn't the sales associate warn me about blind spots. We ask them what they think of the style and color, but trust that the chosen pair would not have a problem. That is their job! I am returning them tomorrow. Where is the service and compassion these days? Thank you snowdrops. I now have stylish eyeglasses that don't create a blind spot. My boss can't sneak up on me now! Very good hub with all the advices. Voted up and all! 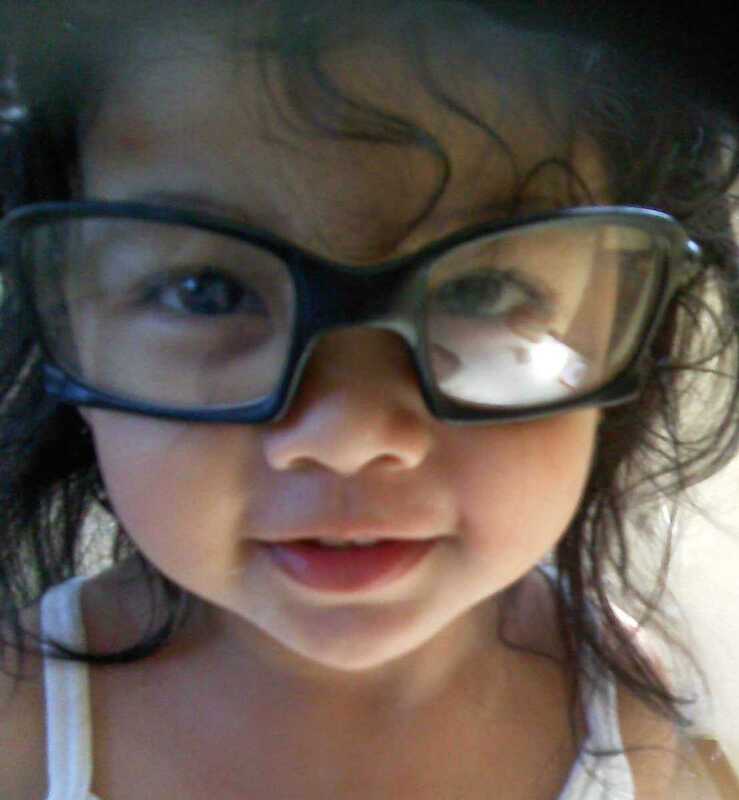 Hi, I just took my daughter to have her eyes checked and she is nearsighted. She is 9 years old and we are awaiting the call to pick up her new glasses. I have never worn glasses and feel clueless. I would love to see a hub like this one, but explains how to fit children for the right pair of glasses. Thanks Alecia Murphy, Ruchira, VibrantViews. Wearing glasses that block your view can cause car accidents, so it can't simply be a matter of fashion at your own expense, like high heels. GOod safety tips here! I have worn large frames that do block part of the view. I didn't know this but I'm glad I make sure my glasses fit my face, lifestyle, and vision. Looks matter because you don't want to look like your grandma, but at the same time you don't want to feel like you're putting yourself at risk being stylish. Great hub! Thanks moonlake, be sure to take special care to look around your blindspot. Thanks cclitgirl, those holes in the design are a great idea. The glasses can be stylish without causing a big blind spot. Thanks Jeannieinabottle, I hadn't thought about them either until I got my glasses. I've returned them now, so it is all good. Thanks Ardie, that is a great idea to deal with this problem. We can move the glasses out of the way a little to be able to see around our blindspot. Thanks saday, I did find that my new glasses with the thinner temples are more lightweight and comfortable. Thanks Sunshine625, I agree practicality is much more important than vanity. To top that, most people didn't even notice when I switched my glasses (twice even!) until I brought it up, even though they are dramatically different from each other. They are used to looking beyond the glasses to see my face. Very useful information! Vanity should never come first with selecting eyeglasses. Experimenting is extremely important. UP! Awesome! Thanks for Sharing. We should wear glasses which are very light weighted, this also keeps your vision stable. Very useful post.. Voted up. I never thought of this before. I have plastic frames, but not with the wide temples. I will keep that in mind in the future when I buy glasses. Thanks for sharing. Voted up! I have these stylish glasses - but, I'm so glad they have little "holes" in them as part of the design. Thank goodness, because that blind spot could be really bad. :) Thanks for sharing. I just bought glasses. They look a lot like the ones you have pictured. Never thought of them blocking some of vision. Good information voted up. Thanks for your comment Jamie Brock. I'm glad you caught this hub before you went out to get your new glasses! Thanks for your comment Byron Wolf. Take care, and be sure to turn your head to check your big blind spots! Wow, this is interesting. I had never thought of this before. Kinda nervous about my big plastic frames now. Thanks Daisy. Yes, thin frames with spring hinges are the way to go. I just replaced my dangerous ones with those, and they happen to be just as stylish. Thanks for publishing this very *important* article. I've always purchased thin frames with spring hinges. After reading your Hub, I'm going to continue to do so. This is great advice! Another case of paying a price for fashion...like what we women do, long-term, to our feet by wearing stiletto heels and worse. Up, useful, and if there were "important," I'd vote that too. Thanks Pamela N Red. I wear bifocals too and my lenses are pretty thick. I get the skinny lenses, and even those are pretty thick. The issue is that the arms / handles, (I had to look it up to see that they were called temples) are so wide that they block our vision. Good information. We need to consider functionality as well as looks when purchasing a pair of frames. A lot of these skinny lenses aren't big enough for people who wear bifocals. I've noticed a few new styles that are bigger. Thanks alocsin and KT Banks. It never occurred to me to think about my peripheral vision when looking for eyeglasses. I hope I can avoid a few potential car accidents with this warning. Great advice. Thanks. Isn't it amazing how we can often overlook something so important? I never thought about this when buying eyeglasses, so thanks for the heads-up. I tend to buy very cheap glasses with thin frames, so this wouldn't be an issue so much. Voting this Up and Useful. Thanks Joan King, teaches12345, and DonnaCosmato. I wasn't aware of this danger until bought the glasses either. Most eyeglass places do have a money back guarantee, so I am exchanging these for ones that don't create as big a blind spot. I suppose all glasses have a small blind spot, but these don't impede my peripheral vision as much. Well, this is an important point of interest! If you have never worn this style of glasses, you would not be aware of the dangers. Thanks for making folks aware of the risk. I wear rimless glasses, so I wouldn't know this. Glad you mentioned it and I will remember this when I have to get the next set. Good topic and well written. Very good advice about choosing the correct eye glasses.